Never heard of chatbots? Well, you should have because they are all the rage now, even though they are basically simplified artificial intelligence systems that interact via text. Chatbots are a key point in any digital marketing strategy now and have opened up new ways to engage your customer. Chatbots are a new era in conversational commerce. Chatbots interactions can be straightforward, such as asking a simple question or a welcome greeting, or they can be more complex, like troubleshooting. To learn more about this new innovation digital marketing explosion it’s useful to complete a digital marketing course. Customer interaction and service – Chatbots can solve basic problems and answer simple questions on your behalf to avoid time wasting for you and your customers. Convenience – This is a 24/7 working solution which is easily accessible and often times the most convenient way for a customer to solve their problem or answer their question. Innovative – Chatbots have emerged as one of the most advanced ways to seamlessly interact with your audience. It’s an important part of any digital marketing strategy to consider when chatbots are unable to streamline your processes and could potentially be a very bad idea. Chatbots are artificial intelligence and are programmed to offer certain responses when prompted, but they cannot offer more than what they are programmed for. Choose when to use your chatbots carefully to avoid frustrating your customer. Some customers prefer to talk to a human and dislike interacting with a chatbot, so it’s a good idea to consider the demographics of your target audience and do some research before implementing a chatbot. Emotion isn’t something that a chatbot can portray, so they are unable to pick up on a human’s tone of voice. The digital marketing sphere has reached an era where customers are tech-savvy and are constantly connected to many social media platforms through their smart mobile devices. Chatbots engage with your target audience effortlessly and cleverly – around the clock! Therefore, there are many advantages of using chatbots in your digital marketing. A simple interface that is easy to interact with. Engages with customers in a quick and friendly way. Outperforms humans with their speed of interaction. Interactions are possible through a range of social media platforms. Easy to create and are cost efficient. Chatbots can jumpstart the sales process. The key to remember when creating your chatbots is to ensure that your customers will want to actually use your chatbots that you put in place, this means providing a direct path for your customers to a solution. Choose a platform–There are do-it-yourself and visual-aided chatbots available on a range of platforms. Define your goal – Outline the objectives of your chatbots before you even start to create them. As with all digital marketing strategies, it needs a clear objective. Use your website landing page – Adding a chatbot to your website is a good idea as they are a great resource for lead generation, and prospective customers like to live chat. The tone of your message – The tone of your chatbots message is as important as the actual message and digital marketers should focus on trying to get the tone of their message right. 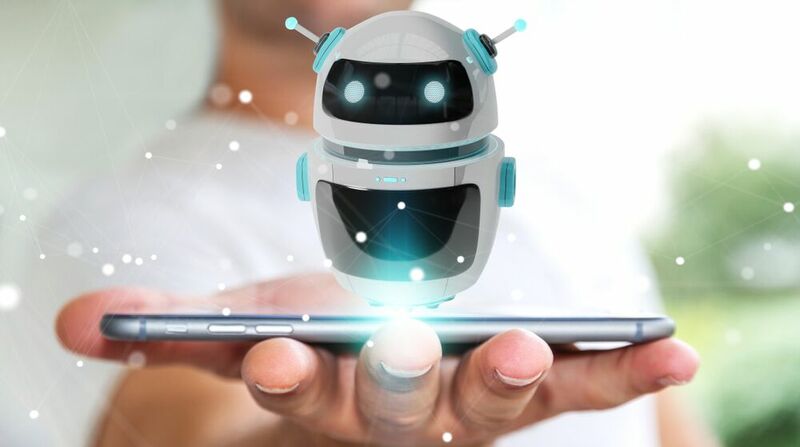 Building your target audience through chatbots offers customer interaction, however it’s vital to the success of your chatbots that the content is relevant and solves your customers questions or problems. Make sure you chatbots content asks questions as well as providing answers to give your customer a truly engaging experience. Keep your chatbots content short for each interaction. Update your content on a regular basis, especially when launching a new digital marketing campaign.